I got fresh pork shanks with my pig order this year. It’s not something you typically find in the grocery store…most shanks are smoked to make ham. Since I had used fresh shanks before, I went online to see what I could do with them. I found a wonderful recipe from Italian Food Forever. 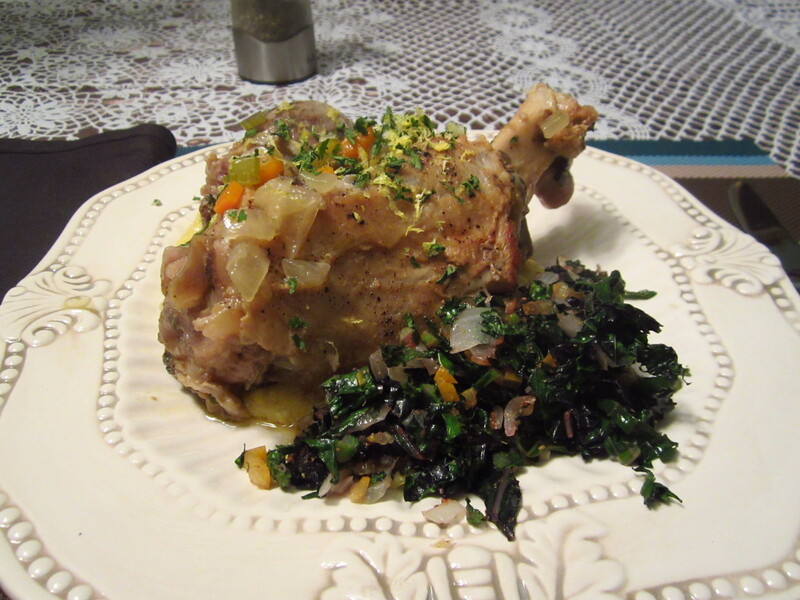 Pork shanks are quite common in Umbria since they are fairly inexpensive. They call it stinco (yes, it is really pronounced like you think). The only thing I did differently is allow the meat to simmer for about 4 hours instead of 90 minutes as the recipe suggests.